Filmmaker Robert Lundahl Announces Oregon Premiere of Who Are My People? Video Interview Clip with LaDonna Brave Bull Allard, Founder Sacred Stone Camp. BREAKING: Reports Indicate Power/Services Cut off to Camp 6:11 P.M. PST AUG 23. North Dakota State Services Involved, According to Sources. While the almost 500 Nations of indigenous peoples (over 90 are represented in the Sacred Stone Camp) are proud of their heritage, it’s important to focus on today and why we are here, on this land, the homeland of the Standing Rock Sioux Tribe, a Sovereign Nation. In fact, what we call the United States is really comprised of many Nations, it is a “united” Nations, of relationships formed by diplomacy and history. The Great Oceti Sakowin Nation predates the United States, so as the newly minted USA acquired more territory, agreements were sought with the existing nations of the Plains and elsewhere. One such Treaty, the Treaty of Fort Laramie (1851), matters now. According to Hollywood, every story needs a conflict. And calling this a “conflict” plays into the hands and the wallets of those who would like to profit from the energy game at other people’s expense. Healy does a disservice to both the Native Nations, and to the investors and companies in the energy field, who rely on solid practices to turn a profit. Good practices seem hard to come by in North Dakota right now. Sacred Stone Camp was begun by youth and supported by women, as a prayer for the Missouri River and it’s tributaries, flowing into the Mississippi in the greatest river system within the continental boundaries of the United States. With over 200 river crossings, the proposed Dakota Access Pipeline puts the drinking water of a large part of the country at risk. The prayer is to keep the waters pure for all tribal peoples and all Americans. The Oceti Sakowin pray for the waters used by farmers in Iowa and Illinois, the water consumed by schoolchildren in South Dakota, Missouri, Tennessee, and Arkansas. They pray for the millions of Americans who get their drinking water from this system. 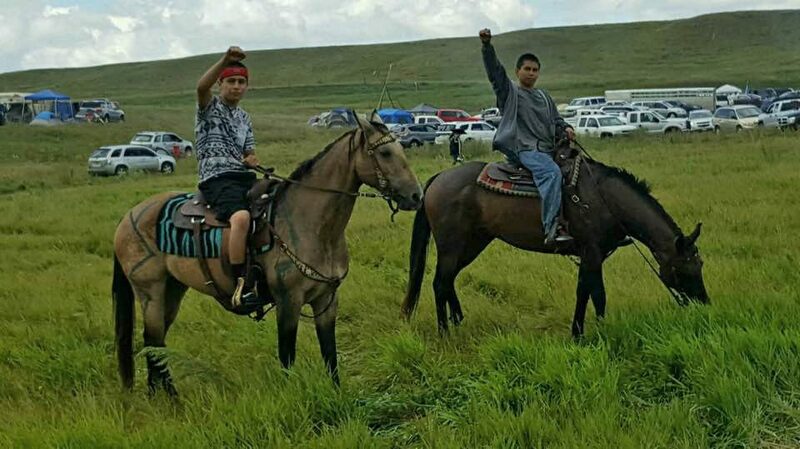 The thousands gathered on the lands of the Oceti Sakowin are not protesters, but protectors; they are protecting our children, our elders and ancestors, the creatures, and the land and habitat they depend on. We would have preferred the Army Corps had done their job, protecting federally administered lands, unceded Indian lands, and Tribal lands, relying on science and judgement rather than construction and destruction. The state didn’t do its job, overstepping jurisdictions and boundaries placing police barricades inside a Sovereign Nation’s borders, disrespecting treaties, conducting an illegal “occupation” in direct counterveillance to most all the provisions of the United Nations Declaration on the Rights of Indigenous Peoples. The Governor of North Dakota didn’t do his job, when instead of ensuring all parties get to the table on energy and environment, he let negative words and accusations cloud judgement. Thousands of people from across North America and around the world have arrived on the Cannonball River to stand for the health of our environment and our cultures. Don’t let the environment be “savaged” by speculators, carpetbagging Texas energy companies and lone wolf billionaires. Don’t let them take our public and our Native lands, and the resources they hold, the water we drink and depend on, in a changing world and climate.